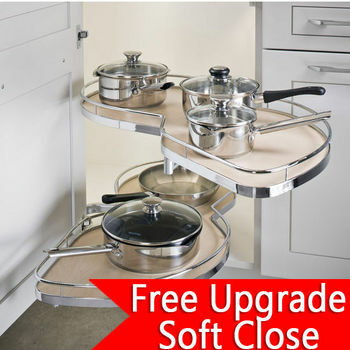 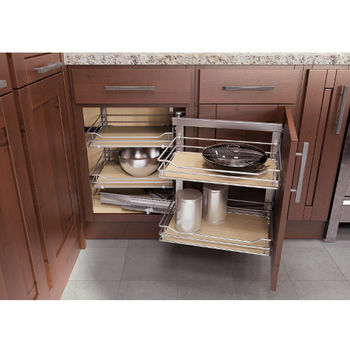 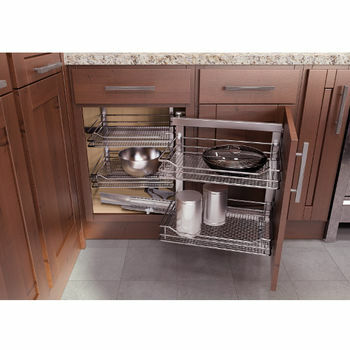 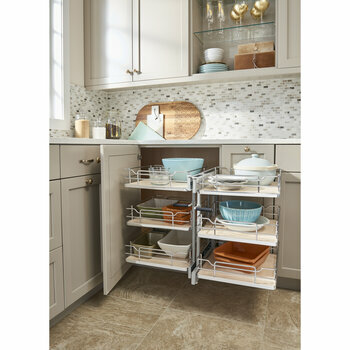 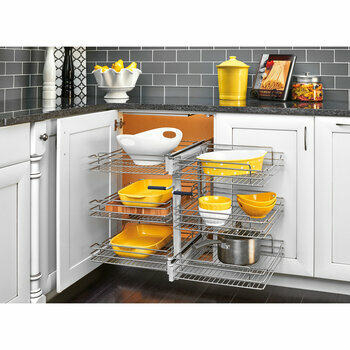 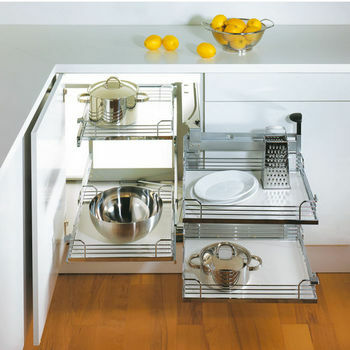 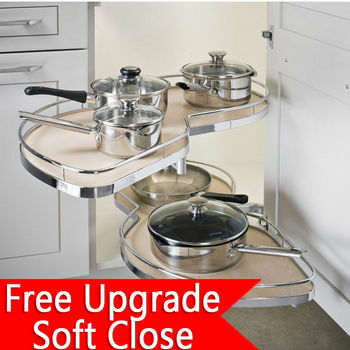 Corner Organizers - Shop for Blind Corner Kitchen Cabinet Optimizers and Corner Units in heavy-duty chrome. 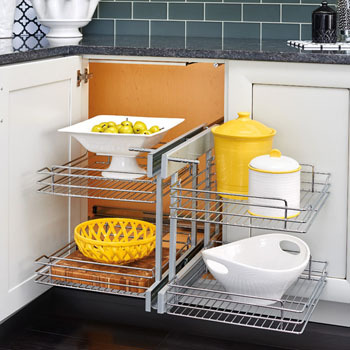 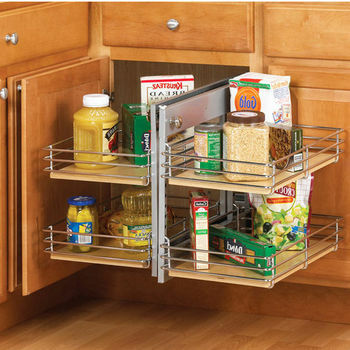 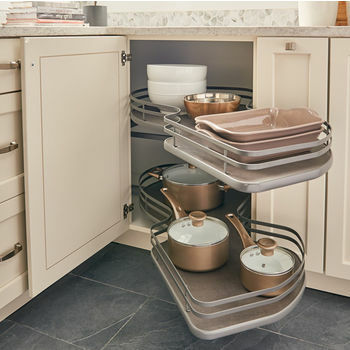 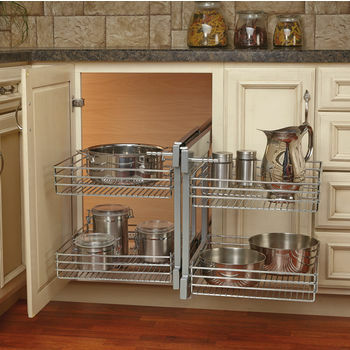 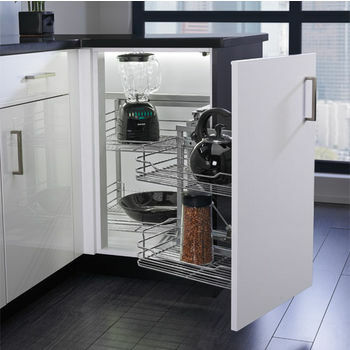 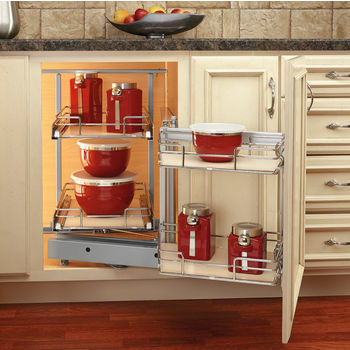 Corner systems, or blind corner units, give you access to the hard-to-reach space in your corner cabinets with pullout shelves that are activated when the cabinet door is opened or a lever is pulled. 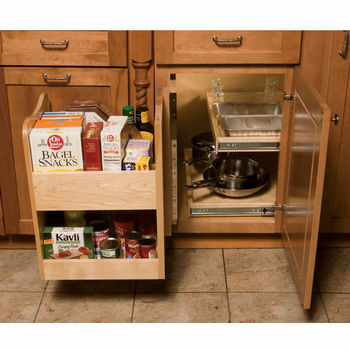 The shelves bring your items to the front of the cabinet where you can reach them. 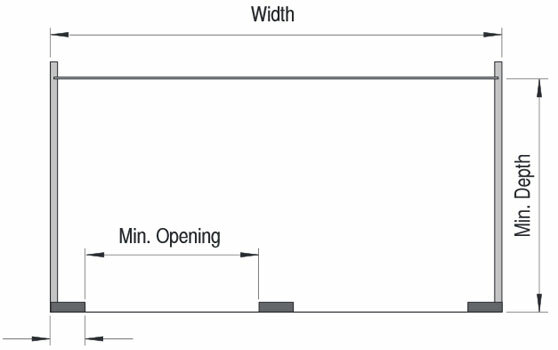 Ball-bearing slides provide smooth operation. 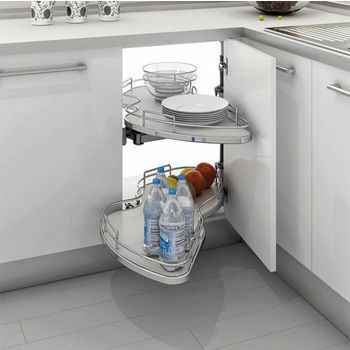 Available for right-hand and left-hand configurations, blind corner units mount to the door or to the inside of the cabinet. 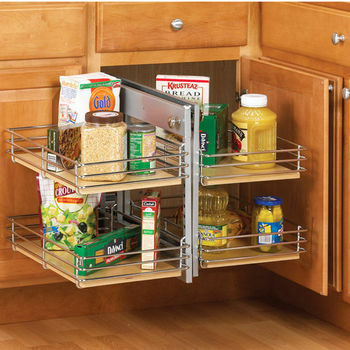 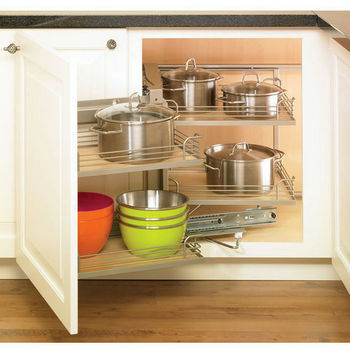 At KitchenSource.com, we have corner systems from Hafele, Knape & Vogt, Rev-A-Shelf, Omega National and Fulterer that make it easy to reach the items in the back of the cabinet and utilize the dead space in your cabinets. 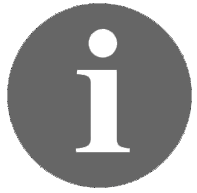 Order online via our secure website, or contact a customer service representative to place your order or to request information.